Freebie- Build your business with referrals. 5 years ago I felt like my business was at a standstill. I felt like no matter what I did I couldn’t seem to get any new clients in the door. After reading 23 books about how to get new clients in the service industry I found the one way the consistently built my business up with barely any effort. 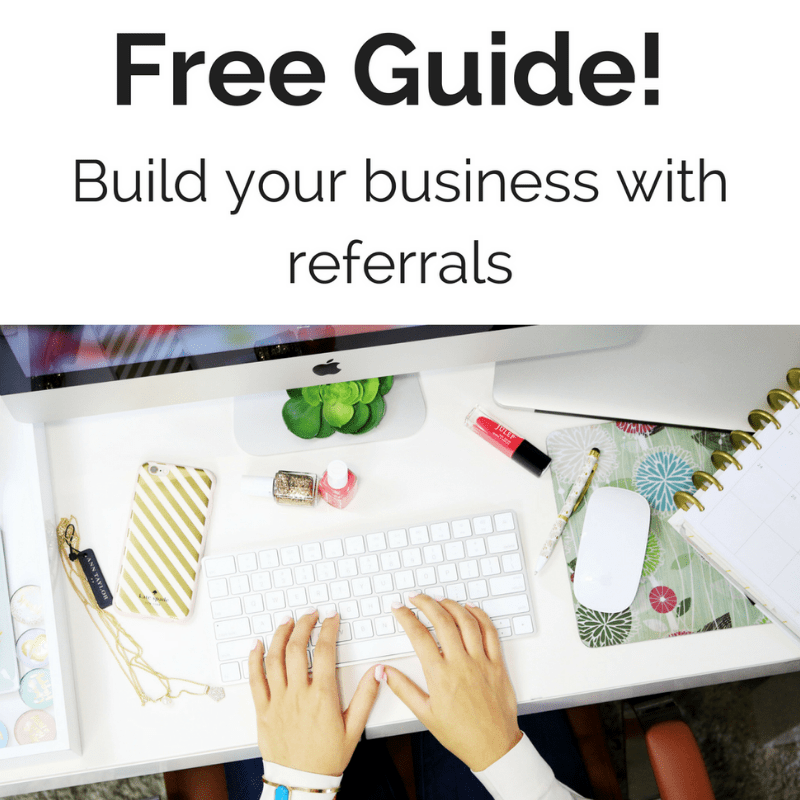 This is a free guide to building your business with referrals. It works for anyone in the service industry and anyone can do it. Feel free to share this page with your friends and fellow professionals and help each other build your businesses. ← Previous Previous post: Why Prime?